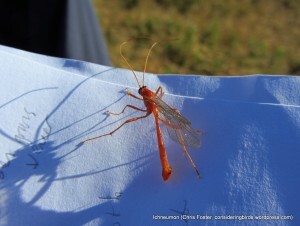 The fact that a close eye is being kept out for any invasion of V. velutina in this country is down to the potential threat to commercial pollination services and native wildlife, not because of any human health risk. June. The sun is shining, the air is warm, and across the country BBQs are being dusted off, picnic rugs unfurled, and Pimms poured. The soundtrack to all this revelry is a mid-pitched incessant buzz, as wasp upon pesky wasp attempts to crash the summer party. But is that a fair representation of the familiar striped scourge of summer living? Partially because I’m an anxious person by nature, and also because of the way society conditions us to react, I was certainly nervous of wasps growing up and occasionally remain a bit jumpy. 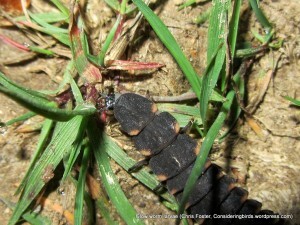 But the more I know about insects and indeed the more I love them, the less I fear wasps. They’re extremely smart looking creatures, seen close up, and not actually as aggressive as one might think. 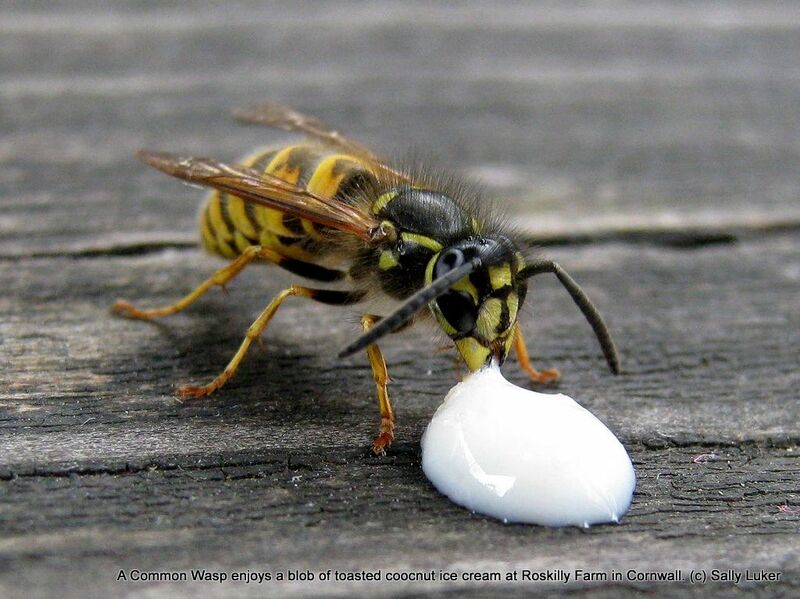 Left alone to do their thing – even if that is pinching a lick of your ice cream – wasps rarely sting. Careful inspection of a resting, sugar-dazed wasp may well be repaid by picking out a different species to the usual Vespula vulgaris, the common wasp, for there are actually several yellow and black social wasps of similar appearance and size – see the BWARS website for more information. The other widely known species of social wasp in the UK is the European hornet, Vespa crabro. Large queens of the common wasp are sometimes mistaken for hornets, but the two insects are really quite dissimilar. The hornet’s face is entirely yellow, unlike the wasp’s, which has a central black ‘anchor’ mark (a good way to separate common wasp from the others in its genus, in fact), and hornets also have extensive reddish-brown patterning on the top of their thorax. Hornets are shyer creatures and hence very unlikely to sting a human, so whilst I don’t doubt it’s a painful experience there’s no real reason to fear them. The new Vespid in town is the Asian hornet, Vespa velutina, or as it is generally referred to in tabloid headlines, the ‘killer’ hornet. Its range has been expanding in Europe, reaching much of western France, so there are fears that Asian hornets may arrive in Britain any day now. The ‘killer’ tag is perhaps fair if one is a honeybee, as this species is sometimes fond of munching on them, but as far as humans are concerned the Asian hornet is no bigger (it’s actually a little smaller) or more deadly than our European species. So the fact that a close eye is being kept out for any invasion of V. velutina in this country is down to the potential threat to commercial pollination services and native wildlife, not because of any human health risk. This doesn’t stop the Daily Mail attempting to whip up a hysterical vermin-killing frenzy. Perhaps the most amusing story on the subject I’ve seen is the sorry tale of a European hornet that flew into a house in Staffordshire, was mistaken for an Asian hornet and doused with fly spray, and subsequently took ten minutes to die, its indestructibility perhaps taken as proof of its diabolic nature. Though government experts assured the concerned family that this was simply an ordinary hornet, the Daily Mail still felt the need to run a story whose headline might more accurately have been ‘Common insect killed with bug spray in Staffordshire house.’ Bizarre. 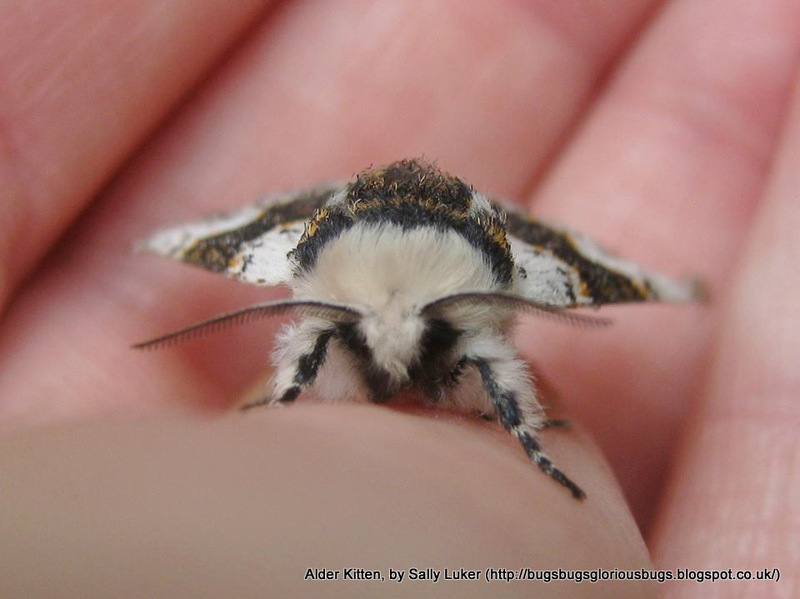 It’s easy to write off yet another silly story from a media that’s astonishingly ignorant of wildlife, but such poor press can’t help the common perception that all insects are nothing but pests: annoying, at the very least, and potentially deadly. I don’t expect us to become a nation of wasp and hornet huggers overnight – I, for one, am unlikely to – but I do invite us all to cross the threshold from fear to respect, and perhaps even to admiration of these beautiful animals. 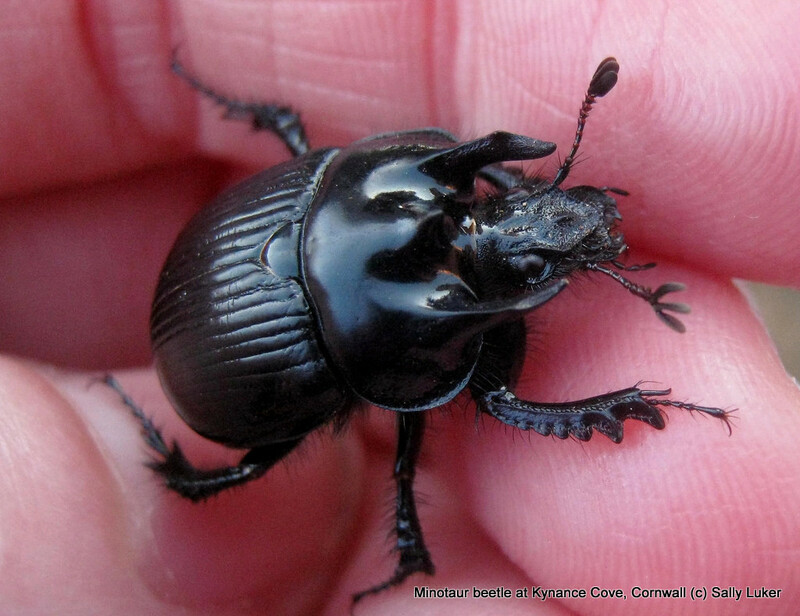 This is a Minotaur beetle, and despite appearances it is a gentle, dung-munching giant.